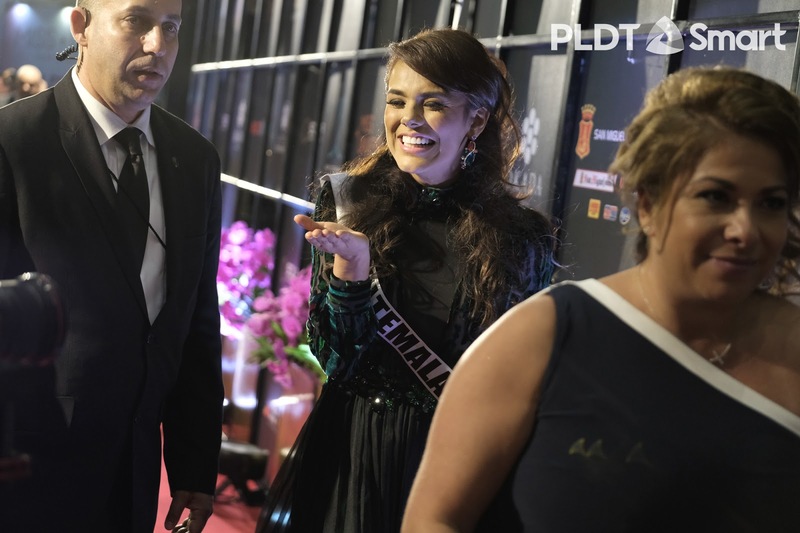 Miss Universe delegates were at the Governor's Ball in Manila a couple of days ago. 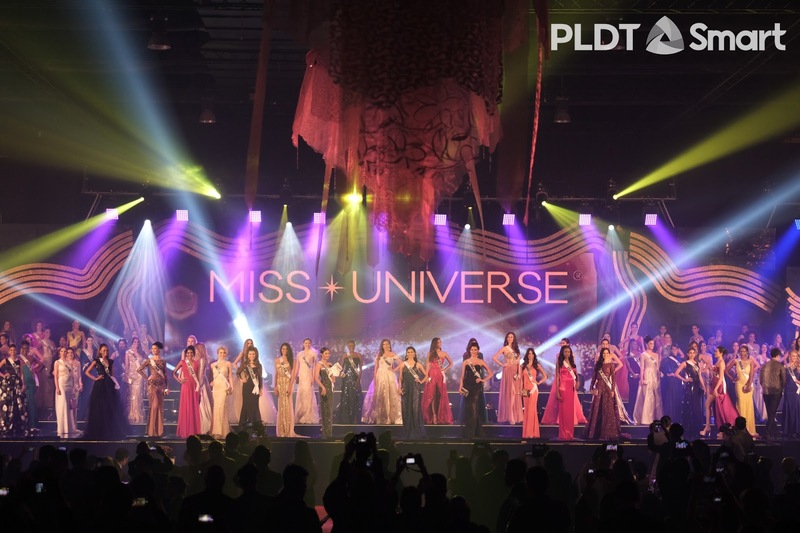 Donning stunning dresses and gowns, these ladies had the chance to see some of Manila's brightest stars, politicians, the society people in one place. 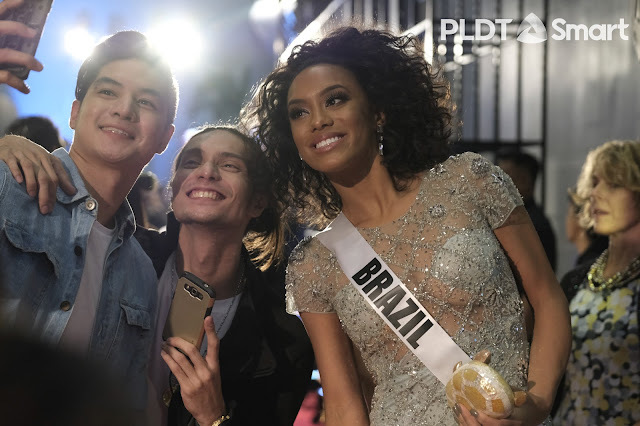 Now don't fret if you didn't have access to that party because we got photos from our friends at SMART and PLDT. They're doing a coverage both on usual media, and on their social media channels. Make sure you enjoy the show while on Facebook, Twitter, Instagram and Smart's social media channels. Here's a rundown of what they wore that evening. Imagine the world's most beautiful women in one place, prepare to be awed! 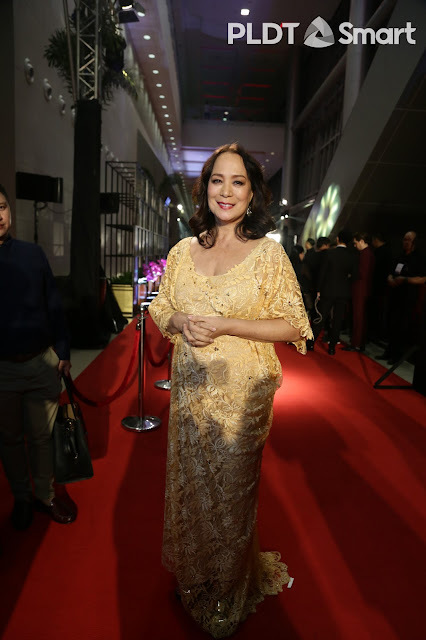 Ms. Aruba Charlene Leslie at the Governor's Ball in Manila wearing a mustard embroidered long gown. Ms. Barbados Shannon Harris elegant in a beaded white and gold gown. 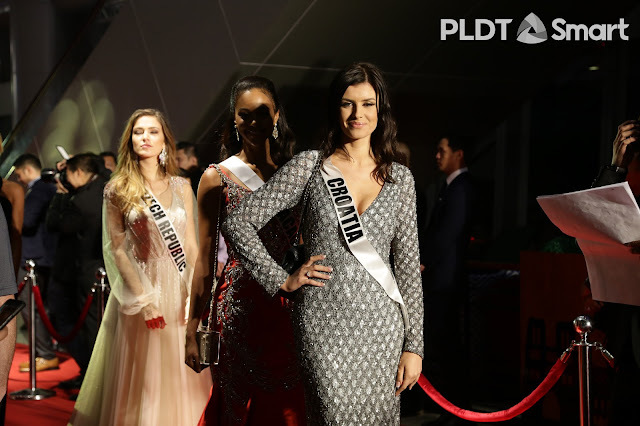 Ms. Denmark Christina Mikkelsen wears a black peekaboo long gown, she looks so elegant in it. 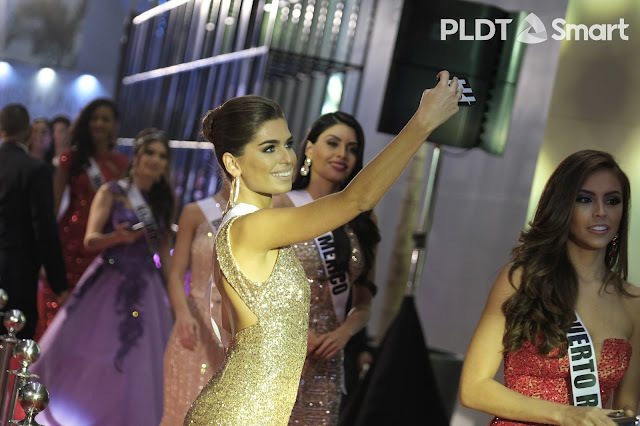 Ms. France Iris Mittenaere looks stunning in a long white gown with crystals. Ms. Germany Johanna Acs gets a do worthy of a 50's red carpet event, lovely. Ms. India Roshmitha Harimurthy in a great gold Sari. She looks straight out of Bollywood. 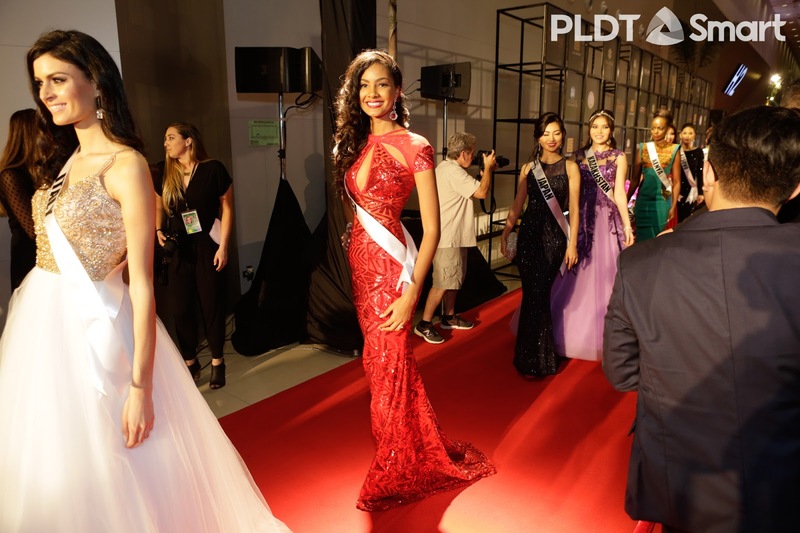 Miss Italy Sophia Sergio looks so soft and dainty in her gown that evening. Miss Kazakhstan Darina Kulsitova looks cute with this purple dress. Miss Mexico Kristal Silva looks so hot in this number. She looks a little like Sofia Vergara. 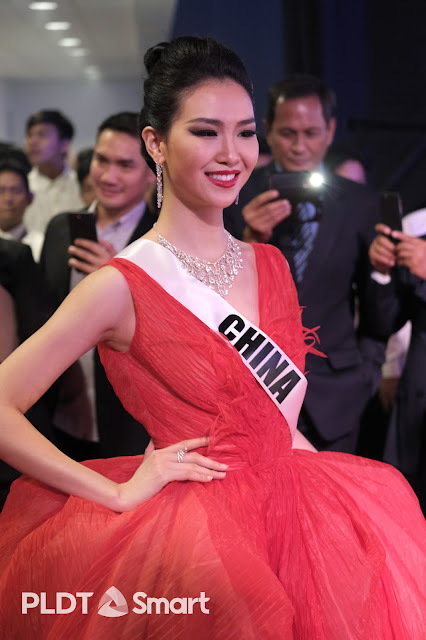 This laced red and black gown looks a little too poofy on her, she's Ms. Myanmar Htet Htet Htun. Ms. Paraguay Andrea Melgarejo looks so beautiful and elegant, I like her a lot! 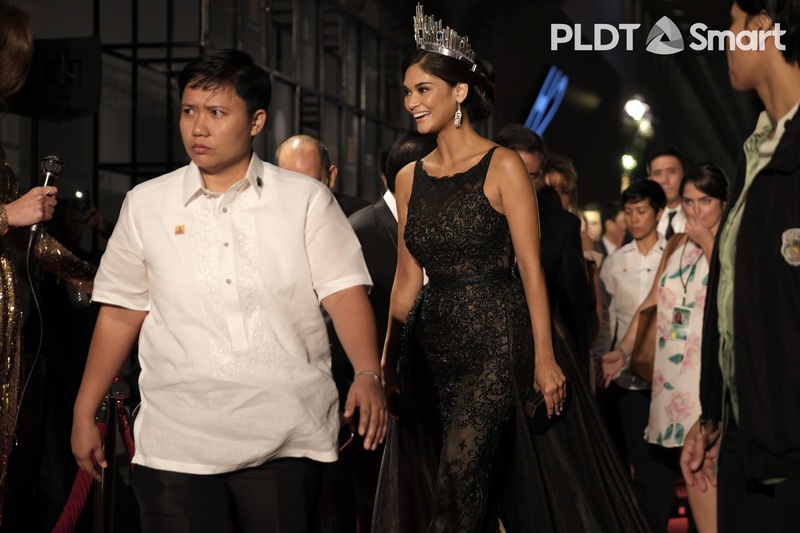 Miss Philippines Maxene Medina has a lot on her shoulders, good luck! Ms. Portugal Flávia Brito didn't took long to get to the red carpet, she wore the color of the year... greenery! Miss Romania Teodora Dan wears a flowy white dress, looks cultural. One of the early favorites Ms. Russia wears white to the party. She's gorgeous. Ms. Albania Linda Idrizi wore red my favorite color. She's really going to stand out with that. Miss Bolivia wears white, simple. Miss Croatia Barbara Flipovic wears a patterned long gray dress, I like her but this looks a little loose. Maybe she lost weight. Miss Great Britain Jaime-lee Faulkner looks so nice in this blue number. I saw she had fun in Ilocos where they did a tour. 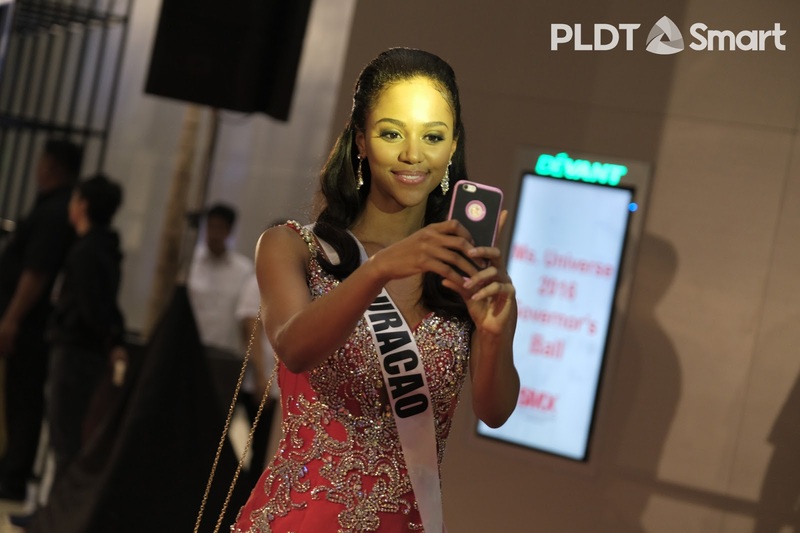 Miss Guam Muneka Taisipic is having fun in the Philippines, considers this her second home. Miss Slovak Republic Zuzana Kollarova felt quite happy here. She's like a Russian princess. I think Miss Ukraine Alena Spodynyuk is the youngest to enter the competition. She reminds me of an 80's cast member of Dallas or The Love Boat. She looks really good in this black dress. Miss Universe Gloria Diaz circa 1969, still looks beautiful. Miss Japan Sari Nakazawa is one of my favorites too. I hope she gets to the top 10. Heavily guarded, our very own current Queen Pia Wurtzbach, stunning! Miss Belgium Stephanie Geldhof in a printed pink gown, pretty but I don't think the design works. Miss Canada Siera Bearchell I think is advocating loving yourself whatever shape you are. Plus sized or not, you should always think of yourself as beautiful. I like her. 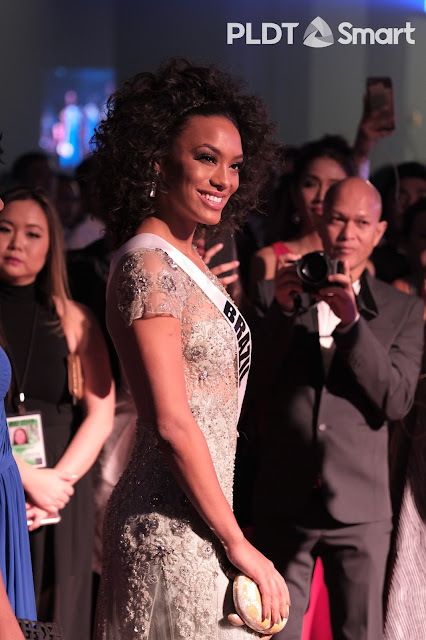 Miss Brazil Raissa Santana looks gorgeous, she's like an Asian Traveler in Paris, I like it a LOT. Miss China Li ZhenYing looks beautiful. Miss Chile Catalina Cáceres looks gorgeous in her patterned gold gown, she reminds me of Jennifer Garner. Miss Colombia Andrea Tovar is gorgeous, she looks like Rihanna. Miss Costa Rica looks lovely in her blue dress. I also like the details on the side, the worksmanship is divine. She prepared well. Patterns done well, good job Miss Dominican Republic Clarissa Molina. 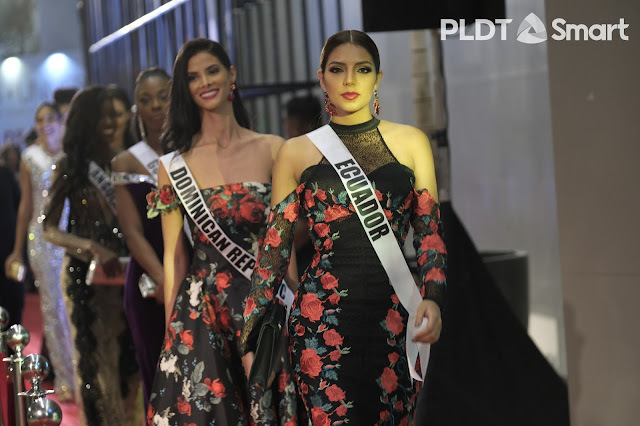 Miss Ecuador Connie Jimenez looks edgy in this dress, I think they're letting the latinas carry the prints no? 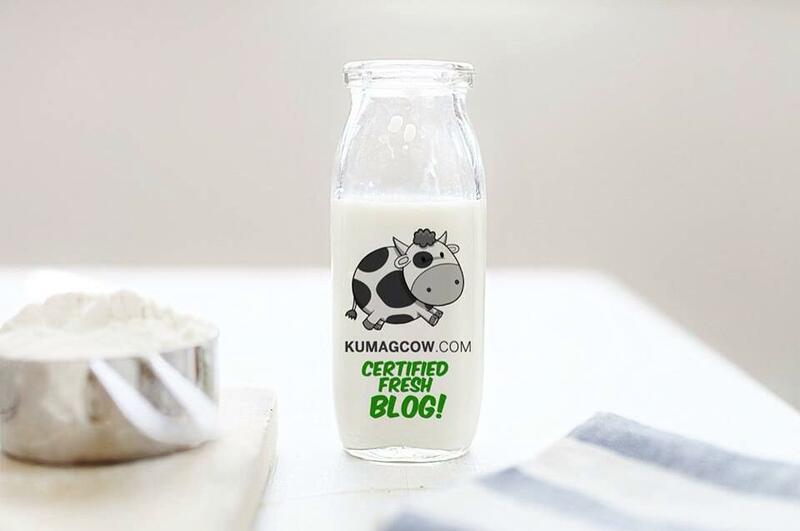 Is this a fad? Ahh I like Ms. Georgia Nuka Karalashvili, classy in wet look hair and simple black dress. Miss Haiti Raquel Pellisier wears this stunning detailed dress. Design wise, this is up there! Miss Hungary Veronika Bódizs looks sultry in her white dress. Miss Indonesia Kezia Warouw did her homework. The details on her dress is just amazing. 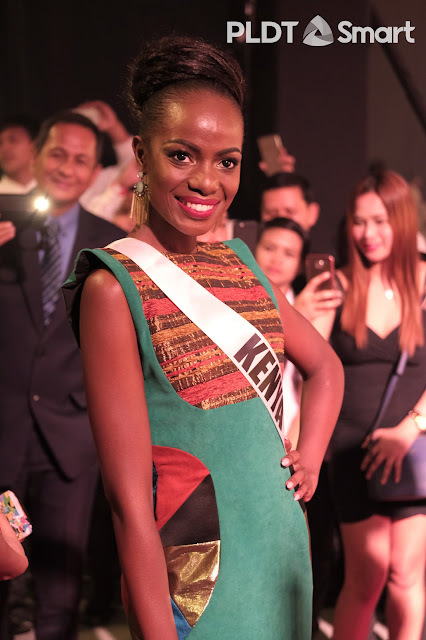 Miss Korea Jenny Kim still so bubbly..
Miss Kenya Mary Were looks a little like Ms. Universe from Namibia in 1992. Miss Malaysia Kiran Jassal looks pretty. Miss Kosovo Camila Barraza is lovely in this patterned black gown. She looks a little latina no? Miss Malta Martha Fenech wore the perfect makeup, and a bling dress. Again it's in the details. This is a little saturated I think. Ms. Netherelands Zoey Ivory is lovely.